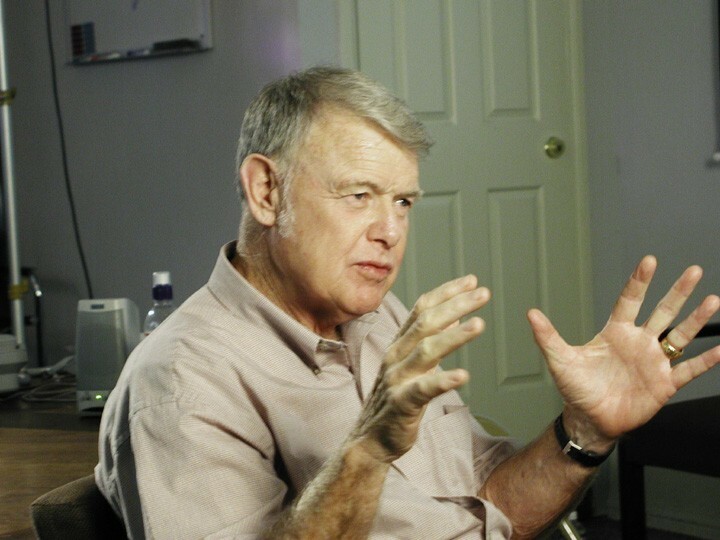 One of the most remarkable minds of 20th century exploration was stilled this morning, August 29, 2013, when Bruce C. Murray died of Alzheimer’s disease at the age of 81. The Planetary Society owes its existence to Bruce, who with Carl Sagan, decided in 1979 that the world needed an organization that would harness the public’s fascination for planetary exploration and demonstrate to politicians that voters would support those who supported planetary exploration. Bruce and Carl directed the organization together for sixteen years, until Carl’s death, and Bruce took over as president for another 5 years. The world knew Bruce Murray as Director of the Jet Propulsion Laboratory in Pasadena, from the triumphant Viking landings on Mars, through Voyager’s encounters at Jupiter and Saturn, to the start of Galileo to Jupiter and Magellan to Venus. Discover magazine dubbed him “the Admiral of the Solar System,” a title for which he took a lot of teasing from those who knew and loved him. Bruce’s great hero was Captain James Cook, the great explorer of the seas, and he may have been secretly pleased to have been given a title – even if entirely unofficial -- that recalled great explorers of the past. As a young man, Bruce did not set out to become a planetary explorer. He went through MIT through the ROTC program, and after getting his PhD in geology, he served two years with the US Air Force. He then spent several years prospecting for petroleum for Standard Oil. He found his way to Caltech where, in the early 1960s, geologists were beginning to look at Earth’s neighboring ball of rock, sometimes called the Moon, as an object worthy of study. Bruce became a pioneer in planetary imaging and earned an appointment as a professor of Geological and Planetary Sciences at the California Institute of Technology. He began his Caltech career by using big telescopes, such as the 200-inch Hale telescope on Palomar Mountain, to observe the Moon and Mars through the infrared to try to figure out what substances lay on their surfaces. As the Space Age progressed and people started launching spacecraft to get close to the planets under study, Bruce was appointed to the Imaging Team for the first Mariner missions to Mars. His skills in imaging, wrangling fellow scientists, and communicating with the public led to his appointment as Imaging Team Leader for the Mariner 10 mission to Mercury. Not long after that success, he was appointed Director of the Jet Propulsion Laboratory. Bruce profoundly influenced the course of planetary exploration from the very beginnings of the space age. On a personal note, he profoundly influenced us as our leader at The Planetary Society, as a family friend, and for one of us (LDF) as a mentor and boss at JPL before The Planetary Society. (I was assigned to go meet Bruce Murray on my first day of employment at JPL, to work on the Mariner-Venus-Mercury (Mariner 10) mission where Bruce was the lead imaging scientist --- LDF). It is through its spectacular images of other worlds that the space program has captured the hearts and imaginations of members of the public. Few know that, without Bruce, there might not be so many wondrous images to entrance us. In the early days of planetary exploration, the idea of taking along a camera to snap pictures of the planets was controversial. The space science community was dominated by physicists who thought taking pictures was a public relations stunt that would eat up data, spacecraft power and mass resources that should be reserved for other instruments that they found more scientifically valuable. Working with his colleagues at Caltech, notably Robert Leighton and Robert Sharp (for whom Mt. Sharp is named on Mars), Bruce changed that. He literally helped change our picture of the solar system. A key to Bruce’s success was his willingness to reach out to others who might have something to teach. When he and Carl saw the need for an organization that would promote and defend planetary exploration, they did not have a clear idea of how such an organization should work. Bruce enlisted the aid of John Gardner, who had served as Secretary of Health, Education, and Welfare under President Lyndon Johnson and received the Presidential Medal of Freedom in 1964, before going on to found Common Cause and become an expert at building of public constituencies. Gardner became Bruce’s mentor and taught him the steps to building an organization like The Planetary Society. For example, Bruce initially thought that a simple mimeographed newsletter would be sufficient means to communicate with Planetary Society members. But those who, like John Gardner, Bruce enlisted to help form the organization (as well as Carl, of course) emphasized that the gorgeous color pictures of the planets were our best and most inspiring means of communicating the value and inspiration of space science. Thus, was born The Planetary Report. While Bruce had a reputation for suffering fools badly – a trait his mother frequently lectured him about – he was remarkably willing to change his mind and admit when he was wrong. He acknowledged the expertise of others and attracted brilliant people to his projects. At The Planetary Society we saw this when he was willing to dismiss his reservations about the use of direct mail to build our large membership base. In his scientific work, he was willing to overcome his skepticism about the accessibility of water on Mars. His rigorous insistence on intellectual honesty often made him controversial, especially when dealing with the often contentious politics of the space program. But those same qualities made him widely admired and sought after for advice on the direction the space program should take into the future. 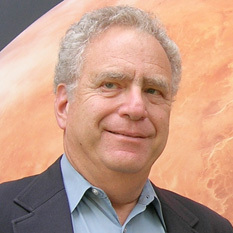 Bruce was honored by the Society twice with formal dinners, once in 1990 on the occasion of the Society's 10th anniversary, and again in 2002 when he formally retired from Caltech and stepped down as President of The Planetary Society. Bruce also gave direction to Planetary Society programs. He initiated our deep involvement in the development of a Mars balloon, first with students in a summer program at Caltech, next with research and development funded by members of The Planetary Society, and then in close collaboration with French and Russian scientists. Unfortunately, the collapse of the Soviet Union meant that a Mars balloon never flew — or one has not flown yet. The concept lives on. Together with Carl, Bruce also pushed the Society into the Search for Extraterrestrial Intelligence (SETI) when U.S. government support for it at NASA was curtailed. This led to our multiple SETI projects that began with Suitcase SETI in 1982 and continue today. Bruce and Carl also encouraged the Society to support the search for exoplanets at a time when it was relegated to borrowed time on a few small telescopes at minor observatories. SETI has yet to make a discovery of extraterrestrial intelligence, but scientists following Bruce and Carl’s lead have certainly vindicated their prescience by finding exoplanets nearly everywhere they look. 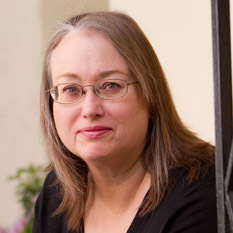 With his wife Suzanne, Bruce traveled extensively, not just as tourists but in connection with in-depth involvement in science programs. He was a visiting Professor at the University of Paris, a Visiting Associate at Tsinghua University in Beijing, and a Visiting Professor in Japan at the Institute for Space and Astronautical Sciences. Bruce served as an interdisciplinary scientist on several Russian Mars missions and participated on the Soviet-French Venus-Halley mission. 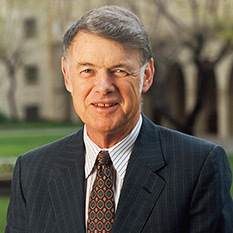 He served as Director of Kerr-McGee Corporation, as a member of the NASA Advisory Council, Chair of the COMSAT Technical Advisory Council, a member of the ARCO Scientific Advisory Council and of the Scientific Advisory Committee of the Defense Intelligence Agency. Bruce’s most visible legacy may lie with the institutions with which he was principally associated: Caltech, JPL, and The Planetary Society, but his biggest legacy is the outstanding group of planetary scientists who were once his students. So many of the great discoveries of the last few decades of planetary science have been made by those who were trained in their work by this demanding, gruff, brilliant, and deeply caring man. Every human and every robot now exploring the planets owes a debt to Bruce Murray. We were enriched by having known the man; the world of science and exploration is so much poorer for his loss. We've lost one of the Founding Fathers of planetary exploration and planetary science. My heart goes out to Suzanne and his family, and to the team at TPS who knew him so well. I worked for Bruce for three years while an undergrad at Caltech. Through him I got firsthand experience with the Mariner 9 and 10 missions, which is what propelled me into a career as a science journalist. His no-nonsense style kept us all on our toes, but I wouldn't have traded the experience for anything. In November 1971, the day before Mariner 9 arrived at Mars, he asked a few friends -- Carl Sagan, Arthur C. Clarke, Ray Bradbury, and NYT science editor Walter Sullivan -- to join him on stage at Caltech to talk about the Red Planet. A book followed, "Mars and the Mind of Man," and my copy is autographed by all of them. It's among my most treasured possessions. The summer after my Freshman year at Caltech I was working on a research project with Mike Brown. Bruce used to come into the computer lab where the summer students worked and pull up a chair and talk to me about my research for hours. At the time I didn't even know who he was. I knew he was a Caltech prof and it made a very strong impression on me that he had time for an undergrad. Once I started taking my major classes (in planetary science) and realized who he was, it had an even stronger effect on me. (and it repeated every summer...). I am so thankful for those chats, which not only helped me develop as a scientist but gave me a window into how one of the great minds of our field thought about science. This is a huge loss for us all in the extended planetary science community. I joined the Planetary Society while in high school, motivated by Drs. Sagan and Murray, and while my professional path never took me into this field, my interest and fascination has just grown and grown. I like to say, I don't do planetary science, but I'm a huge fan. Thanks Dr. Murray for everything you did to inspire me as well as others like myself. You brought the planets and stars just that ever so much closer, thus enriching all of our lives the way few others have ever been able. I feel the loss of Dr. Murray and my prayers go to his family and friends. He helped inspire uncounted numbers of the curious to participate in some way or follow along with space exploration and support it any way they could. He will be missed. Bruce was one of the most agile members of an agile generation. Under his leadership, Jet Propulsion Lab teams extended humanity's reach and vision to distant worlds. A brilliant scientist, he also served his civilization in realms of policy, and even art. Bruce was among the first to grasp the potential of the World Wide Web to improve human conversation and his early "hyperforum" experiments still have not been matched. I was proud to be one of the early participants and learned a lot. I always felt the web would have been better now if more folks paid attention. And this was just one of his side efforts! Above all, his legacy is found in generations of students and others who benefited from his guidance and example. The lesson that I draw from his life is that we are capable of being "many." Bruce Murray was the truest citizen of our renaissance. I feel his loss, blended with joy that we are able to create and nurture such wonders. So sad that Bruce is gone. But what a legacy he has left us...his vision will fuel the imaginations of future space explorers for generations to come. He inspired me so much...As a kid, I would be talking over and over again about how he first thought of making a journey to the outer planets and visit them all...in one go! We will miss you Bruce! We met Bruce and Suzanne when they registered Jonathan in Boy Scouts where our sons (and we) were active. We had great years together as our sons grew in stature and character. When our sons were in high school, I returned to school to complete my doctoral studies. Bruce wrote a beautiful letter of recommendation for me. Then he chuckled every time I voiced frustration with the mounds of paperwork and politics involved in a doctoral program, and celebrated with me when I finished. In 2002, a conference we were involved in was moved to Los Angeles from Philadelphia and I became the conference coordinator. Coordinating my first conference was truly scary. Bruce came to my rescue and was our keynote speaker for the banquet. He chided me for being too long-winded in my introduction of him. I just couldn't stop talking about all the wonderful things he had done -- as a human being, a scientist, and a leader. One year, we were visiting Washington, D.C. and went into the Air and Space Museum. There was Bruce on a video monitor talking about going out to explore space. When we got back, I said "Hey, Bruce. Did you know you were in the Smithsonian?" He laughed and said, "Not stuffed, I hope." He will be greatly missed. I just learned in an email from Lou of Bruce's passing today. Bruce was one of the giants of solar system exploration, a friend and mentor to many of us, and accomplishments of his life and influence are illuminated by the thousands of bright minds he has taught and inspired over the decades. His founding of The Planetary Society in 1979 with Carl Sagan and Lou Friedman reached so many more, including me, and I blame Bruce substantially for drawing me to a life of engineering space. How forceful a personality he was in his passion for planetary exploration; how compelling his presence, and how much we miss clear minded leadership such as his in NASA's space program today. I last saw Bruce at JPL during the 2004 'Spirit' MER landing - what a thrill it was to share that moment with him. Thank you Lou and Charlene for this fitting tribute to Bruce and his remarkable career. Bruce Murray was one of the smartest people I have ever met, able to grasp complex phenomena, systems and relationships quickly. Unlike most scientists, he was also a great manager, who could herd teams of diverse intellects to produce complex robots that succeeded in their difficult tasks far from Earth. If robots can be said to have DNA, then some of his is now roaming the surface of Mars, flying into the depths of interstellar space and embedded in the search for extraterrestrial intelligence. He was a catalyst, turning our civilization into a multiplanet one. He was the consummate rocket scientist. Despite his reputation for "suffering fools badly," I found Dr. Murray to be very approachable and willing to engage in discussion even among those of us without PhDs. His moniker for structuring a science lecture, "Tell them what you'll tell them (intro), tell them (exposition), then tell them what you told them (summary)," remains my adopted model for presentations. He was a great man and will be missed by all who had the fine pleasure to speak with him (as rare as that might have been for me). I surely hope that such a great man with such a passion for the universe will be taken by the hand of God and given a so richly deserved tour of the wonders of his universe. Just like Carl Sagen, our group has lost an irreplaceable human being. Thank you Bruce for all the wonders you brought me. Rest in Peace. While not one of his students, I considered Bruce a mentor. As a member of the Mariner Venus-Mercury Imaging team I learned the basics of team membership and was able to observer a master in action in leading the team. He was truely a great scientist and our team was highly successful. I , with many more will miss hime greatly. GOD BLESS YOU DR. MURRAY. Rest In Peace Dr Murray. My thoughts and prayers are with your family. A remarkable man who will be remembered. He was a class act whose legacy will be long-remembered. To paraphrase Sir Isaac Newton, if we see farther into the solar system today it is because we stood on the shoulders of space exploration pioneers like Bruce Murray. Forever Bruce!!!. Thanks for sharing the Science, An inspiration for many, may your journey be ever far reaching. As a child, gazing at the stars and learning about them, I would never have imagined having my name on a microchip on Mars! Thank you Bruce Murray for igniting our vision, and also making things happen. Now your students will make it happen for our grandchildren. Thanks to all who look upward and outward! I met Bruce and his charming wife Suzanne on a Planetary Society trip to the Antarctic Peninsula in 2005. He honoured me by asking me to become his onshore 'buddy' for the field trips by zodiac. On Deception Island, which we visited, he was particularly fascinated by ice deposits which were overlaid by volcanic ash from this active volcano, which he believed resembled some areas on Mars. He subsequently gave a lecture on this to the assembled passengers, of which I have recording made by one of our group. As a group we had many good conversations in long evenings in the ship's bar. Please pass on my sympathies to Suzanne. Bruce's legacy will live on because of his many accomplishments. Thank you Lou and Charlene for your beautiful and informative tribute. My deepest condolences to the Murray Family, the Planetary Society and all of the folks who were touched by such a tall timber of humanity’s forest on the passing of Mr. Murray. This is indeed another big door that has been closed. I am very optimistic that a new door or window will be opened! The total sum knowledge of our place in the universe and beyond has increased significantly through the philosopy and actions of Bruce Murray. Many thanks. The world has lost a great man, but he opened the door for many more to follow his dreams. My condolences to The Planetary Society and to his family. A great mind; a terrible loss. As a charter member of the Planetary Society, I have followed the work of both Bruce, Carl Sagan and many others for many years. I never met anyone from this group, but through their dedication, I have been able to follow all of the science and beauty of our solar system. Thank you, Bruce Murray for your service to us all and may you rest in peace. My deepest Sympathy to The Planetary Society and to his family for the lost of this extraordinary mind. Bruce Murray will be in our Hearts and Minds as time goes on. A great and a good man, and a pioneer of our era. What a privilege it is to have witnessed his work. As a non scientist member of the Planetary Society since the early 80's I knew of Bruce as a great scientist as well as a great leader. His vision, drive and leadership at JPL, Cal Tech and elsewhere was unrivaled. A great scientist, an amazing man, a renaissance man. Dr Murray, you will be greatly missed. I never had the privilege of meeting Bruce Murray. I was only acquainted with him by virtue of his impressive repuation, but it is obvious that the planetary sciences has lost a true pioneer. My condolences to his family and the Planetary Society. I met Dr. Murray briefly when he sat next to me on an airplane flight. I remember that when he found that I worked for JPL, he elicited from me what I was working on. I was able to enthusiastically describe my exiting work on generating oxygen on Mars. Only later did find out who he was. Thanks to Bruce Murray and Carl Sagan, I have been able to explore space as a member of the Planetary Society from my little place in Maine. In third grade I imagined being one of the first women on Mars because I assumed Earth’s Moon would already be settled by the time I became an adult. The Society’s work has allowed me to see into space, to continue to dream and imagine. I was saddened by the news and extend my deepest sympathies to his family. As a member of the Planetary Society since the late 1980's, I wish to share my condolences to his family and the Society. Thank you for the tribute and the chance of letting me be part of it. So sad to read of Dr. Murray's passing. My fondest memory of him occurred during PlanetFest '89, Voyager 2 Neptune encounter. Busy as he was he took the time to meet with volunteers, expressing appreciation for the work they did for the Society. Kind words and warm handshake remembered forever. I as a member of the human race and again as a member of those who recognize the need for space exploration and settlement participate in the mourning of Dr. Murray's passing; His legacy in the building blocks needed for space research and ultimate settlement is appreciated and will be remembered. Let's name an asteroid for him - he will be greatly more than missed as an educator, mentor and fellow explorer. My sincere condolences to the Murray Family, from a founding member. I was inspired to join The Planetary society by Bruce Murray and Carl Sagan. Correction- from a Charter member not founding member. Al-thought I felt like one. I was an early member. Thank you Louis Friedman the email. We will keep finding Bruce in almost every discovery we make in the solar system for years to come. God speed. Every eulogy of Prof. Bruce Murray that I have come across focuses on his administrative career, so here is one about his seminal scientific contributions. Murray, together with Caltech colleagues Kenneth Watson and Harrison Brown, predicted that water ice accumulates in permanently cold craters on the Moon. They realized that, unlike other volatiles, H2O can be retained on the Moon by a combination of hopping and trapping of molecules. Molecules hop along ballistic trajectories until they reach one of the cold traps near the lunar poles. The work, published in 1961, received little attention initially; after all the Apollo samples were bone dry. Today it is a main focus of the lunar exploration program. The same theory also applies to Mercury, where ice deposits have been identified. In 1966, Prof. Murray made a fundamental prediction about water ice on Mars, together with Robert Leigthon, also known as co-author of the Feynman Lectures. Leighton and Murray realized that the presence of water vapor in the martian atmosphere implies that ice can persist just a few centimeters below the surface, where it is protected from daily temperature variations. This study gained traction also only slowly, but was eventually worked out in increasing detail and served as motivation for sending a neutron spectrometer in orbit around Mars, which indeed identified near-surface ice in great abundance. It was also the primary motivation behind the Phoenix Mars Lander, which in 2008 ultimately touched the ice that Leighton and Murray had predicted 42 years earlier. Murray's scientific contributions are manifold, and, of course, they include major exploration discoveries such as canyon systems on Mars, the cratered surface of Mercury, and the atmospheric circulation of Venus. The two theoretical contributions described above are not only his most cited, but they will continue to be highly relevant for the exploration of the Moon, Mars, and Mercury for many more decades to come.